The northern region of the island of Sri Lanka remained closed up to the rest of the country and the world for over three decades due to the civil war that was prevalent in the region. However 2009 marked an end to this era. This meant the opening of the once war torn Northern Peninsula of the beautiful island to the world. Jaffna is the capital of the North and has a glorious past and high historical significance that can be cherished. The access to this once isolated region has meant many local and foreign visitors all through out the year. There are few Jaffna Hotels that have come up. However there still exist a gap for luxury hotels in this region. One of the pioneers in the hotel industry of Sri Lanka are opening up one of the first luxury hotels in Jaffna. Jetwing Jaffna which is currently under construction will feature fifty five well appointed rooms , all in true world class standard. The Nallur Kandaswamy temple is a significant land mark in the Jaffna Peninsula. The temple is dedicated to lord Murugan. Believed to have been constructed in 948, the temple flourished in the site in the 13th century under the patronage of a minister of the king Kalinga Maha who ruled Jaffna. The temple has been damaged and destroyed at various occasions and what is currently present is the fourth temple. This temple was constructed in 1749 AD. The annual festival of the temple is an important event in the Hindu calendar. 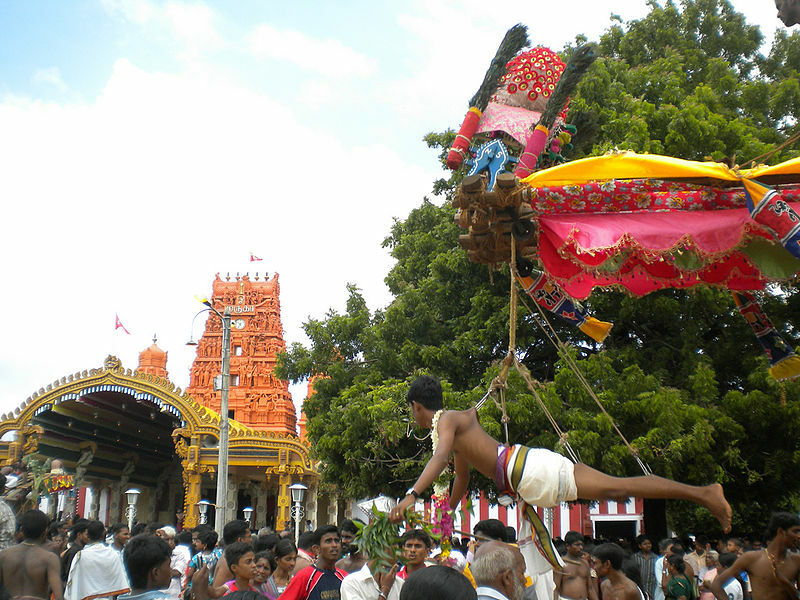 The festival commences with the hoisting of the flag , which is referred to as the Kodiyetrum. The festival is spread over a period of 25 days with the final day marking a “Ther” which is a ceremony where the main god is taken on a possession around the streets with the devotees. The occasion is extremely vibrant. Filled with wanderlust that seeks to explore distant shores and captivated by the colors and vibrancy of exotic cultures, Melissa Somawardana, concealed under the name of Kanya Mae, writes on the beautiful, exciting, and enchanting wonders of the world. She is a writer who not only has a passion for travel, but also has a background in fashion, art and media.